Recycling Building Materials Is a Thing! Your renovation project has begun and the demolition team will soon arrive. You might be wondering what will happen to your old appliances, fixtures and cabinets? The good news: in many cases you can donate them! Donating items from a renovation is both environmentally friendly and charitable. Roger Gallagher, President of Gallagher Remodeling Inc., who is a NARI Green Certified Professional says, “it’s good for the environment and at the same time it helps families in need to improve their living conditions inexpensively.” It’s the ultimate in recycling! We recently arranged for Amy Weber, Recovery and Donations Specialist for EcoBuilding Bargains (part of the Center for EcoTechnology) to pick up cabinets and a sink from our project in Newton. EcoBuilding Bargains will pick up items at no charge and donors receive a tax deduction receipt for the materials. 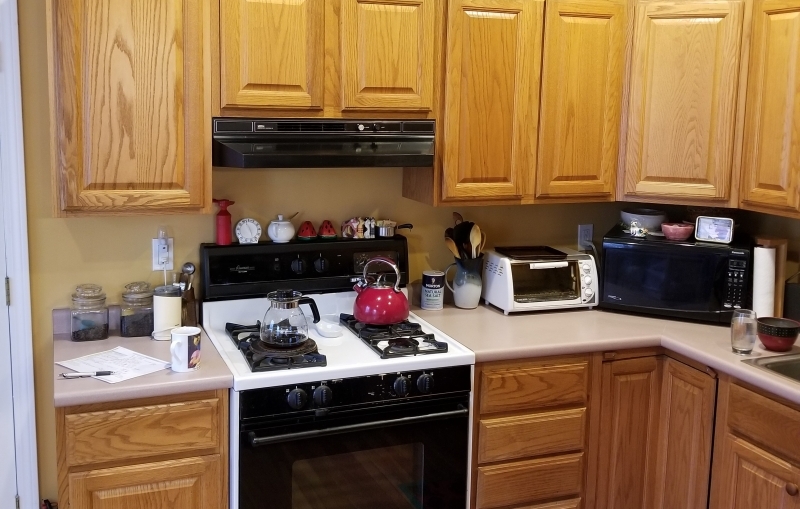 These oak cabinets were saved from ending up in a landfill and, instead, will be reused in someone else's kitchen. In past years, Gallagher Remodeling, Inc. has donated items to Olde Bostonian in Boston. In addition to the EcoBuilding Bargains organization, Habitat for Humanity has opened many ReStore sites around Massachusetts including the Merrimack Valley location. ReStore accepts donations and offers items for sale, similar to EcoBuilding Bargains. Proceeds from ReStore support the work Habitat for Humanity does around the Commonwealth. Renovation and building projects create waste and debris. We recycle as much as possible including wood, metal and plastic. The rest we thoughtfully dispose of to minimize the impact on landfills and the communities in which we work.